When a person is having so many bills to be paid in a month and that too to different creditors on different dates, it would be too difficult to manage. This situation would worsen the condition of the person and would make him sink in the well of debts. To come out from such a worse condition, it is very difficult for anyone to manage themselves. Here come the few financial companies with expertise in finance handling. These companies, though take their charges, would help the person sinking in the floods of worst debts. The debts could be unsecured debts like the credit card outstanding. 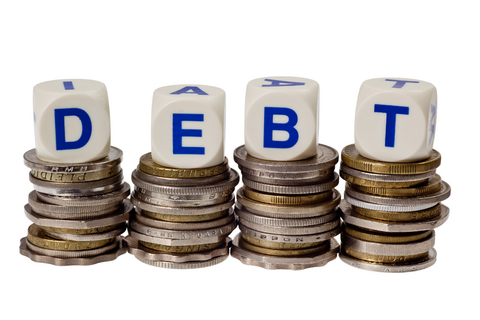 These debts could be consolidated together and could be paid off. But there are few procedures and few things that should be considered before doing so. The financial institutions that come forward to help a person to come out of the debt would first analyse the situation. It is very important to reveal all the debts to the institution. The experts or the professionals working there would initially give suggestions on how the debts could be managed. In case a person is having bad debts, it is very tough for any expert to bring him out with a clean and good credit score. Even though, it is better than bankruptcy, the score would not change immediately. But gradually, by paying off the consolidated debt taken from the financial institution regularly without fail would increase the score. The institution would analyse the credit card loans and personal loans. They would negotiate with the lender for a better settlement. Generally the settlement would be made at least 20 – 25% lesser than the original amount owed by the debtor. The debtor could also manage to negotiate with the lender by himself. But a professional negotiating with the lender would bring more result than the debtor himself doing so. Anyhow, this negotiation and debt reduction would also damage the score rate. Though, it damages, the score could be increased by just paying off the new consolidated debts in time. Once the person is debt free, the score would automatically improve. The credit counselling agencies that could counsel and analyse the situation would help upon to pay off all the debts with different lenders. The payoff or the settlement would be done by the institution after negotiating with the lenders. The customer or the debtor would be benefitted by getting debt reduction of 20 – 25% from the original amount. With the reduced credit balance, and a fixed number of months from the date of settlement to various credit card and personal loan lenders, the debtor should be making payments regularly in a fixed date. This would help the debtor to bring down his debts to nil balance. This would help him become debt free. The debt consolidation is a very simple process, overall the actions which has to be made by the debtor wisely in correct time is done by the financial institution for the sake of the debtor with some charges taken from him. However, overall the debtor is benefitted with this method since; he gets at least twenty percent of debt reduction. Even if the person pays some charges towards the credit management service, it might not cost more; in fact it would be very less when compared with the actual loan amount and the interest which he could have paid. The difference would be a descent difference. The person would be relieved off the debt in a short period of time and the person would be debt free. He would enjoy goo score in the future, once the debts are cleared.